We exist to assist sellers in realizing the maximum sales price, at a date certain, at a reasonable cost. As an Auctioneer/Broker, we are seller’s agents. Our passion is showing how the Auction Method of selling is superior in many ways to traditional Real Estate Brokerage. My favorite saying is “A traditional Real Estate Broker sets a price and comes down, while an Auctioneer sets a price and goes up.” Here is what we offer that traditional brokerage firms do not. Rather than plant a sign and hope, set the date your property WILL SELL. Contract to closing table in 10-weeks! Save months/years of expensive "carrying costs". Today's money is worth more than next year's money. Sell NOW. All "due diligence" completed BEFORE the Auction. "As-IS" sale. NO contingencies for Financing/Inspection. LARGE non-refundable cash deposit. Buyer pays closing costs/commissions. We will advise and work with you to determine a reserve price that will ensure a successful Auction. It is both art and science. We create a marketing plan specifically designed for your property and your sale. We tailor advertising venues and costs to match the budget and anticipated results of the sale. We've been doing this for nearly 40-years. Only at Auction do you allow potential buyer's to compete in open, transparent competition to determine "Market Value". We will exceed the price of the person who likes the property second best - and approach the price of the one who likes it best. We are Auctioneers and Real Estate Brokers. We sell both real and personal property at Auction, and can take you from contract through closing while handling all aspects of marketing and brokerage. A total estate liquidation may include furnishings, farm machinery, collectibles and "pots & pans" in addition to the Real Estate. We are able to handle all aspects of that process saving the fiduciary time and money. Call us to see how. While we concentrate on Real Estate, we do have years of experience handling Business Liquidations. We can evaluate those situations with or without a Real Estate component. We KNOW Auctions, and can help buyers who may be unaccustomed to buying at Auction successfully navigate the landscape unique to Auctions. Whether you are interested in Foreclosure Sales, Government Auctions or private sales, we can help you with winning strategies. With nearly 40 years of government and private sector experience in conducting Auctions, Instructing Real Estate Agents and researching Real Estate Law, Mike Harper is the "go-to guy" for Auction advice in the Southeast. He has sold everything from million-dollar homes to Dwight Eisenhower's desk. Discover why "Experience Sells". While many Real Estate Auctioneers depend on Banks and Institutions for the bulk of their Auction work, we are a small niche firm who chooses to work only with individual sellers rather than Banks and institutions. Here’s why: Banks force an auctioneer to sell properties “subject to confirmation”, which means that the majority of the properties that are offered never actually sell and close. While there is nothing wrong with this method, and the firm is paid for their effort, we simply value successful auctions over “no-sale” fees. Large firms with big overhead MUST depend on or supplement their portfolios this way, but because our buyers know that the properties we offer WILL SELL at Auction, they trust that their valuable investment of due diligence time and effort will be repaid by a bona fide opportunity to buy the property. This makes for loyal bidders/buyers and more competition at each auction. We have over a 94% success rate in the eight years since we started this policy. We must be much more selective in what we sell, but we are much more successful for sellers AND for buyers! We are a small company, and we like it that way. We have had lots of opportunities to become a franchise or to join national alliances, but we know that our small size and the flexibility and nimbleness that comes with that size is one of the strengths that distinguish us form other companies in a competitive environment, and make us a better choice for the individual seller. Large Nationwide firms depend on institutional clients (Banks, Government, Relocation Services and the like) for the bulk of their business. This means that they can sell lots of properties in a year and with volume comes stability and profits. There is certainly nothing wrong with stability and profits, but large volume is necessarily accompanied by large overhead, many employees, and BUREAUCRACY! Individual sellers like YOU get lost in the shuffle while these large companies cater to their “bread and butter” clients, Banks and Institutions. We do things differently at Harper Auction & Realty, and we do it because we CHOOSE to do it this way. We are a Regional company, and are Brokers / Auctioneers in NC, SC & GA exclusively. We do business where we KNOW the market, and we sell only at Absolute or Disclosed Reserve Auction, so that our loyal following of buyers KNOW that when they do their due diligence they will be able to BUY on Auction day. This matters a great deal to serious and savvy Auction Buyers. We sell for individual owners rather than large Institutions, which means that you always deal with our business owner, not some new employee, and NEVER get shuffled around. We keep our overhead low, which means that you do not pay for our employees’ Health Care, Worker’s Comp, 401(K) and vacation time. We do not have any “Associated Companies” that make a profit charging you for printing, advertising, marketing and the like, in order to pad the bottom line. No, we shop the marketing world for the best price and the best value for your marketing dollar. Yours is not just one of numerous properties mentioned in an ad or an e-blast because we design marketing specifically for YOUR property and target the market accordingly, rather than taking a “cookie cutter” approach as some firms do. We have the same advertising presence as the “Big Boys” and we have a loyal following with a very large bidder/buyer data base, yet we treat you like a member of the family for the 10 weeks or so we are associated selling your property. We are available 24/7 – no weekends off around here! Because we are frugal and have a very low overhead, we are able to pass savings to you in a number of ways. We invite you to compare our proposal and your costs with ANY other Real Estate Auction Firm, and you will immediately see what we mean. Most firms rarely if ever repay up-front marketing fees at closing, but that is our normal practice. Every deal is different, and we will crunch the numbers on costs and commissions with you in our proposal, but we are confident that because our costs of doing business are lower and because we are not trying to get “rich” on each deal, your costs will also be lower with us, even though you will be receiving SUPERIOR service! Is smaller BETTER? YOU be the judge! We offer our services to Bankruptcy Trustees, Bank Trustees, Attorney’s and the business community at large in conducting Business Liquidation and foreclosure Auctions. We have over 30 years of experience in evaluating, lotting, organizing, marketing and successfully selling business assets at auction. We cut our teeth on business liquidations. We also occasionally will lend our experience in the auction world to those investors interested in purchasing at auction, by representing them as a buyer’s agent. (Not at our own auctions, however.) We NEVER practice dual agency. 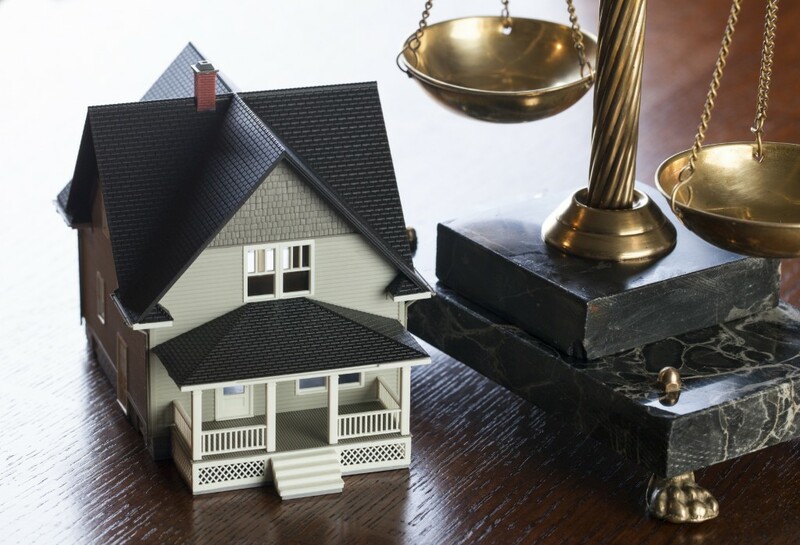 Call us if you are interested in purchasing property at auction, but are a little afraid of the process, or concerned about getting in over your head. 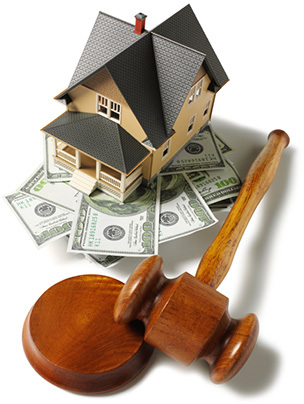 We offer advice, consultation, training, or complete buyer’s representation for the Auction Investor!